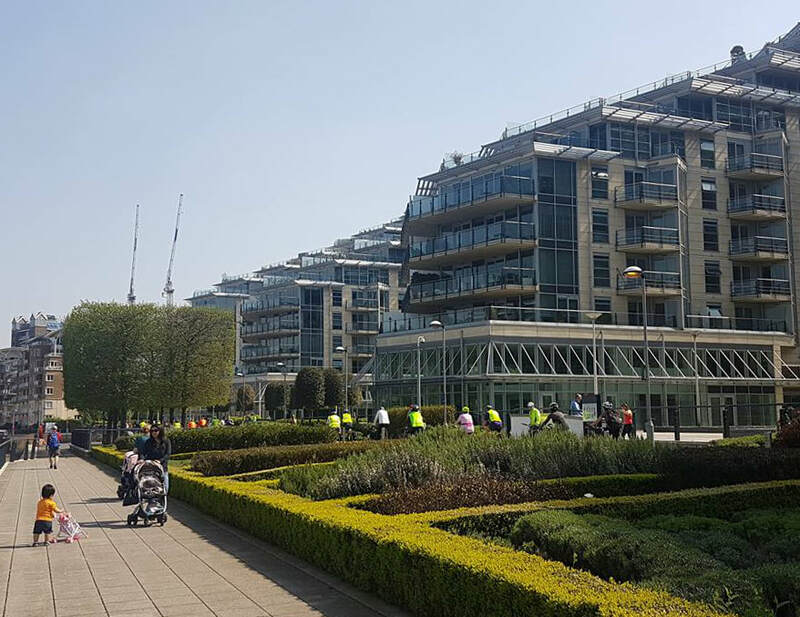 Although 10 people had signed up to our ride from Peckham Square to Greenwich Park via Chislehurst, there were only 5 people at the Peckham Square start point. One person decided to do the shorter Healthy Ride instead, so there were just 4 of us who started off in the light rain. We were met by two more riders at Beckenham Place Mansion. 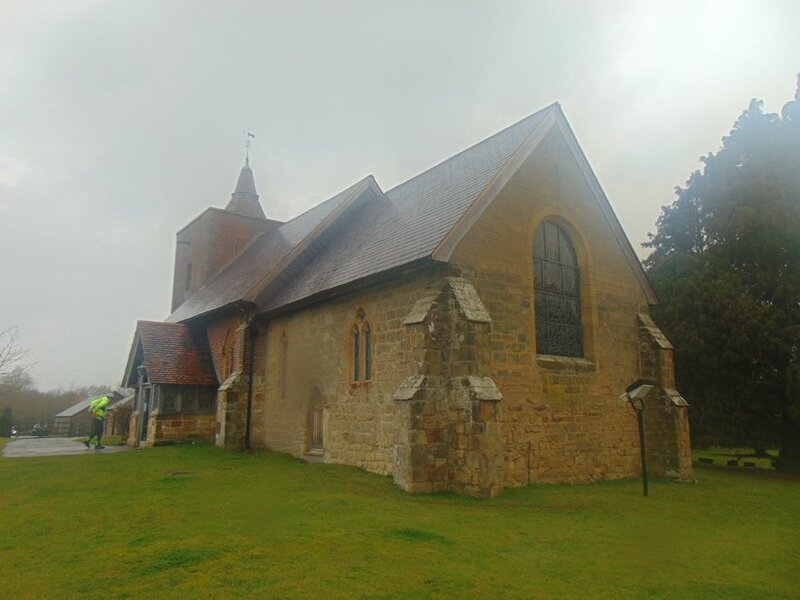 We then went through Chinbrook Meadows and Lower Camden to the Chislehurst Caves, we're we stopped at the cafe, which was much busier than it had been over the past few months. 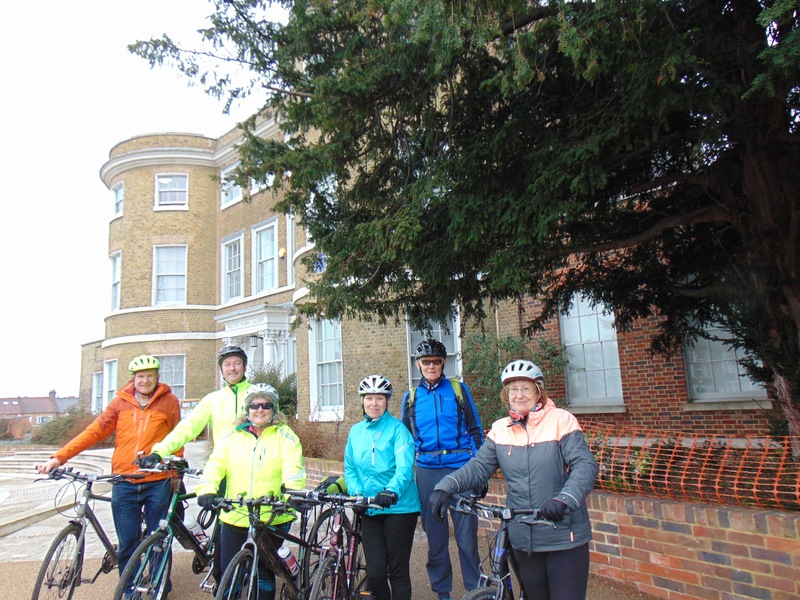 There were about 24 of us who assembled at the Park Life Cafe to do a social cycle ride to Bishop's Park. It now appears that we have a consensus that Cyclists in Southwark should not attempt to compete with the Southwark Cyclists "Healthy Ride +"s, but should simply go on them instead. This doesn't mean we have to lose face, as the door remains open for us to rebrand "Healthy Rides" as "Cyclists in Southwark" rides once a quorum of London's social cyclists can be established. The idea of using Dulwich Park as a first Saturday of the month meeting point not just for Southwark Cyclists but also for other differently branded cycling groups, is working well. 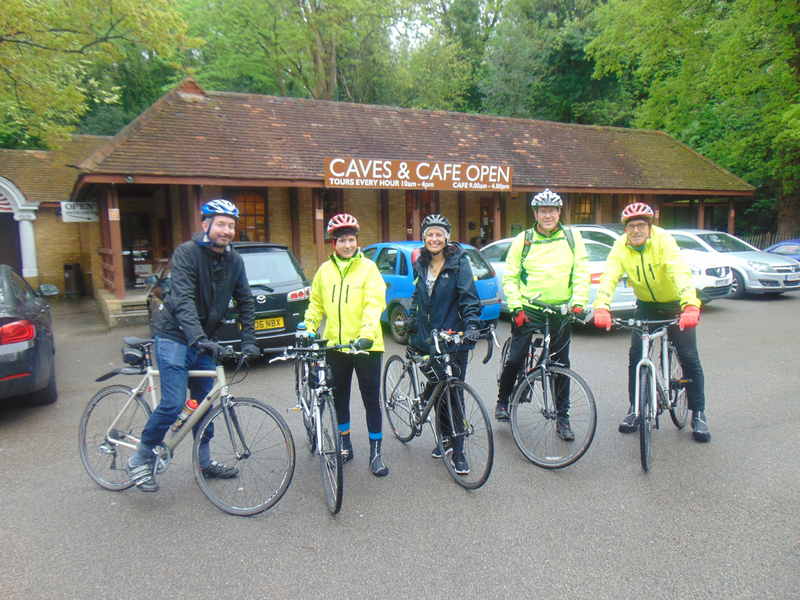 Although 10 people had originally signed up to do this ride, the numbers quickly diminished when the weather forecast showed many hours of persistent rain. There was however one person, Andrew Bourlet, who was willing to join me on this 37 mile cycle ride to Tudeley and back.